Home » Soooo… I’ve got a BIG secret to share! Soooo… I’ve got a BIG secret to share! Remember that time when you pretty much didn’t hear from me for weeks at a time? Many of you sweet friends even reached out to make sure things were okay with me because I was absent from my usual blog schedule. Well, let’s just chalk it up to the fact that the thought of cooking food made me feel nauseated. Yep, if you haven’t guessed it yet, I’m pregnant and will be 19 weeks tomorrow!! Like seriously? How did this happen so fast?? Time flies and this little bun in the oven is practically half baked already. Our baby is due this fall on October 15th. With this being our first, everything just seems so uncertain and nerve-racking. We went for our first doctor’s appointment at 9 weeks in February and at that point we got the confirmation that we were indeed prego, listened to the heartbeat, and were able to get a quick peek at the baby on the ultrasound. At that point we shared the news with just immediate family, and on Easter Sunday when we were 13 weeks we told our extended fam and our closest of closest friends. The truth is… despite seeing the baby at 9 weeks and hearing the heartbeat at our monthly appointments, it just doesn’t really feel like I’m pregnant. My body is changing a bit, but I don’t have a pronounced baby bump, which has made me all nervous and freaked out that I’m doing something wrong. I just expected that by now it would be so apparent that the random lady at the grocery store would be able to tell that there’s a baby in my belly. 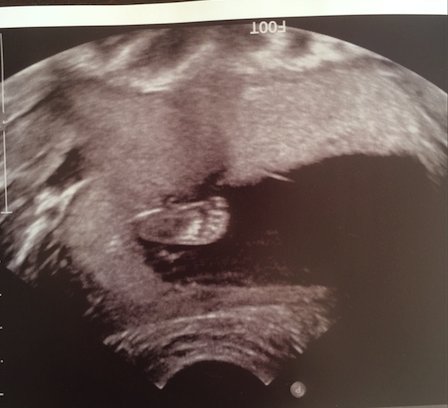 I felt a little nausea, intense hunger pains, picky eating, and loss of stamina during workouts weeks 6-11, but ever since I haven’t seen many signs of “theres a baby in there”… until Monday when we went for our level 2 ultrasound. I’ve wanted to hold out a bit to be sure that things were cooking properly before we officially broke the news, and now I’m super excited to share with you all where I’ve been the past few months. We got to see the baby this week and I just couldn’t believe how developed and agile the baby is inside of me. That little squirmer is constantly moving. We learned from the radiologist that our sweet baby is growing and developing just as they expect at this stage of the game AND as you may be wondering… we did find out if we are having a boy or a girl too!!! Only Eric and I know the gender at this point and we are like bursting with excitement to share the news with our friends and family at the Gender Reveal Party this weekend. Be sure to check back next week or on social media this weekend to find out if we are going to be decorating in pink or blue. YAY! Things are starting to feel more real. Let the fun begin. So what do you think– boy or girl? SO freaking excited for you my friend!! Can’t wait to hear what the gender is! My first feeling was girl. You’re going to be such an amazing momma! We were both fooled huh? I totally thought girl too. How fun! It brings a whole new dimension to cooking, and purees are fun! All the best on your journey to meet your little one! Ah, I cannot wait for all that fun stuff. Thanks Flona! OMG!!! I’m so excited! Your blog is my favorite!!!! 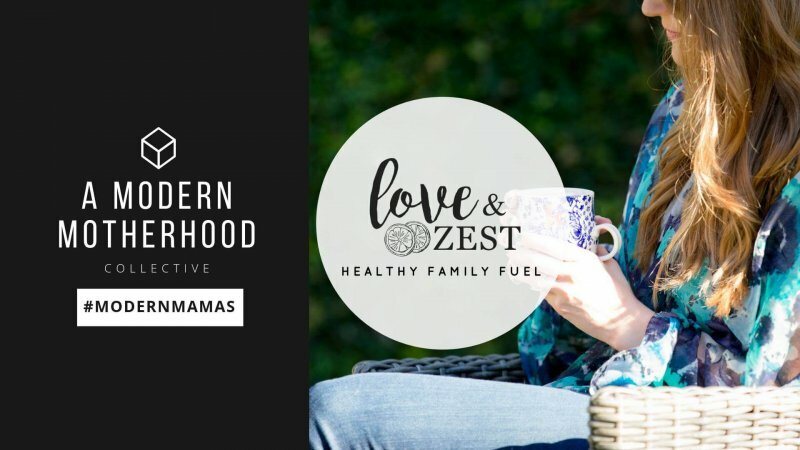 I’m from Florida (recently moved to Boston) – but I LOVE your blog. SO SO SO Excited for you!!!! You are adorable! Thank you! Where in Florida did you live? Oh my goodness! Congrats! How exciting! I believe its a BOY!!! I’m a good guesser by now. Good luck. You’ve got a 50/50 chance of being right 😉 Thank you. So excited for you both. I was just like you with my first. I didn’t show until I was 29 weeks. It was like wow where did that come from! Glad to hear all is well. Crazy right? When you posted on Tuesday I’m like “ahhhh! I’m announcing tomorrow” SOOOO Cool. I’m super pumped we are going to be pregers together and the baby’s are so close! Congrats! That’s such exciting news! Gina this is hysterical and it’s cracking me up. Such an esp moment for sure. Thanks Anne 🙂 It’s going to be so fun (and crazy). Such wonderful and exciting news! 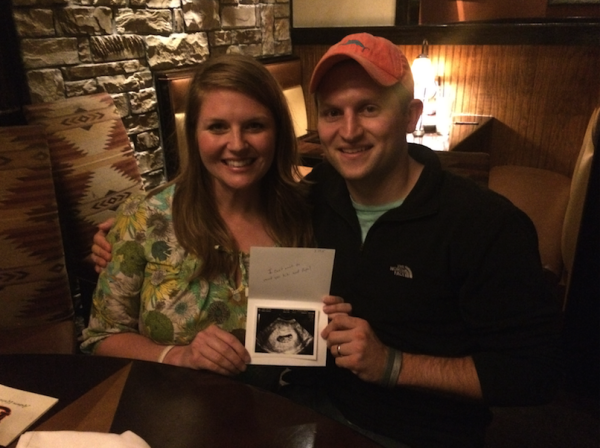 Congrats to your growing family and we’re all looking forward to seeing this little sweet baby! 🙂 My guess is… girl! I can’t wait to share more about baby. ;P Thanks for the excitement!! 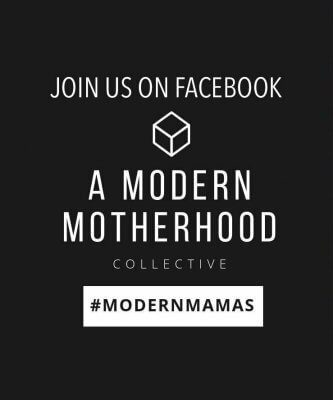 I cannot wait to walk through life together, not just as RD pals, but now as mamas!!! I’m so excited for you guys. You know I’m here whenever you need me. Love you Kristina! This is so sweet Jenna. I cannot wait to share stories together. Such great news!! Huge congrats to you two!!! My guess is…BOY! yay! I’m so excited for you and glad to hear you’re feeling good! I’m guessing boy! Thank you Jessica. Really can’t wait until the gender reveal party this weekend. This made my day…. love our Pearl girl. Cannot wait to introduce her to baby. So excited for you and Eric! Can’t wait for our babies to play together. 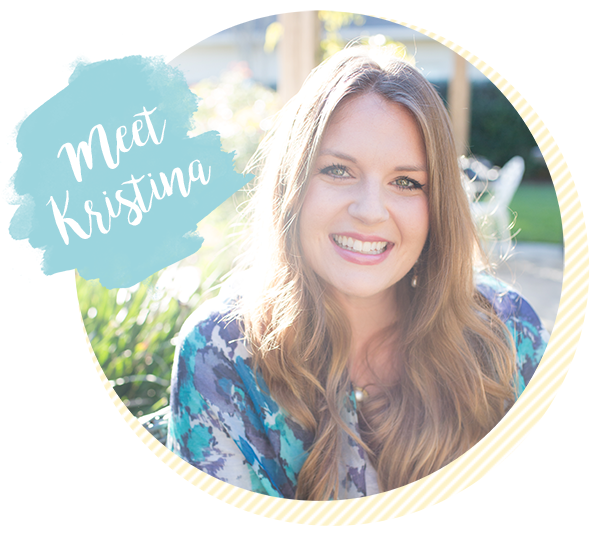 Aww congrats, Kristina!!!! Saw your post on Instagram first thing this morning and rushed over here ;). I’m so happy for you two and excited to see what the Lord has in store for your sweet sweet (growing) family! Congrats to you and your husband! I had a feeling something was going and I’m glad its something so wonderful 🙂 I’m guessing boy! Haha! You had the right feeling… I guess my blog absence was a big clue, huh? Congrats!!!! Such exciting news. 🙂 Can’t wait to see if it’s a boy or girl! Can’t wait to share that news. It’s going to be so fun this weekend. Congrats I am so happy for yall! Aww thanks Kathy! 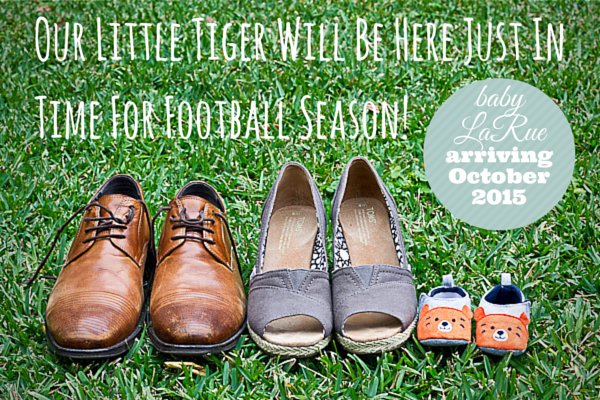 Don’t think we will make it up to an Auburn game this year, but hope you’ll get to see baby L sometime.